A century in the making, Carnival has become an established community event and our largest fundraiser. Along with games for all ages and entertainment, the Schaefferstown Fire Company Carnival offers traditional Pennsylvania Dutch & Fair food that will leave you wanting more. 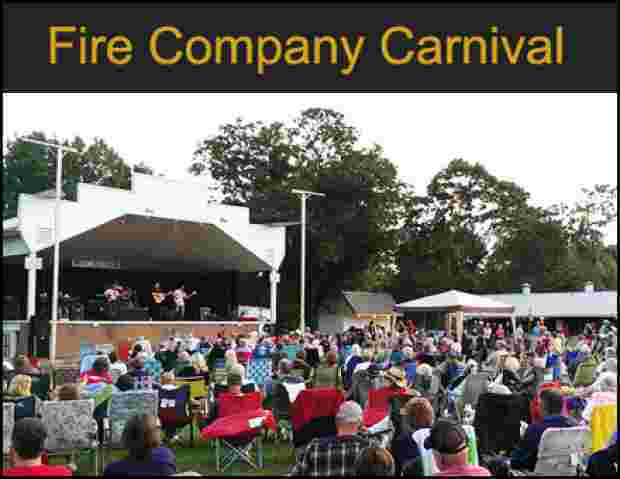 The proceeds from the carnivals are dedicated 100% to supporting the Schaefferstown Volunteer Fire Company. Enjoy Carnival Rides & Midway Games Every Night! Sweet Ember is a rock/pop/funk band from Lancaster, PA playing originals and covers from the 70’s to current hits. They are a group of talented musicians, including Schaefferstown native, Katrina Ambron. Each member brings with them their own unique background in the music world. Enjoy the sounds of the 60’s and 70’s with Mitch and the Mood Swings! Cruise in for our annual car cruise and show. Enter for your chance to win door prizes and giveaways. Enjoy all of the sights, sounds and delicious food that our 100th Carnival has to offer. Separate Ways The Band, the Ultimate Journey Tribute Show on the East Coast, truly defies description. Experience all of the subtle nuances, inflections, harmonies and visual gratifications of seeing the original Journey show. Separate Ways The Band brings the highest level of musicianship to the audience while showing genuine respect for the music of Journey.